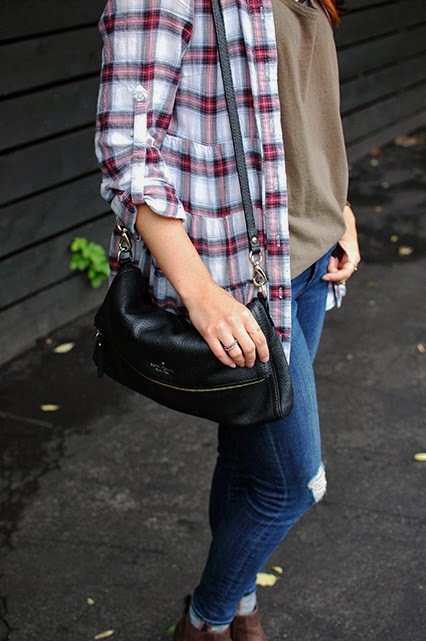 Scuttle: A Little Bit of Fashion & Alot of Sparkle: Summer Flannel. We had two of the most beautiful days of what felt like fall weather. I embraced those moments full of breeze & no humidity. This outfit is an ode to fall. Can't wait to rock little brown booties & my favorite free people flannel every day. See you soon fall breeze! That's such a beautiful bag!